Hotel Shree Annapurna Prasad offers patrons free internet access. The hotel in Satara is situated 23 km from Shree Peteshwer. Accommodation is provided in 20 well-furnished guestrooms equipped with essential amenities. Each of the rooms has a television set, wardrobe and makeup mirror. Hot and cold water is also supplied to the attached bathrooms.The hotel in Satara offers a 24-hour front desk, banquet facilities and business centre. The accommodation is also provided with room service, laundry and medical assistance. The property also features a landscaped garden and provides travel assistance.The Hotel Shree Annapurna Prasad can be reached from the Satara Railway Station and Bus Stop (2 km) Tourist attractions near the resort include the Janni Devi Temple Chikanwadi (35 km) and Vajrai Waterfall (41 km). It was 2am and I was not able to drive more,and was searching some place to stay,suddenly saw signboard of this property.Rooms were below average but we're clean with ordinary washroom.Most appreciable thing was cleanness of premises.Restaurant was excellent and preparations were fresh and excellent.Family or friends couples or alone,it can be said a good and safe point to break your journey on the highway to-fro Satara-B'luru. Recently I traveled to Karad for a pilgrimage 11 hanuman temples bike tour. For this, Karad is centrally located and therefore we (myself and my cousin brother) decided to stay at Karad for 2 nights. We chose Shree Annapurna Prasad Hotel for stay (searched through internet). The good: 1. Room Service (they served us hot water on first night, when we were exhausted after whole day riding) 2. Food we tried South Indian, Chinese and Punjabi food (2 meals and 1 breakfast) and the food served was fantastic. 3. Fare The rates are reasonable comparatively charges of other hotels and the facilities provided. The bad: 1. 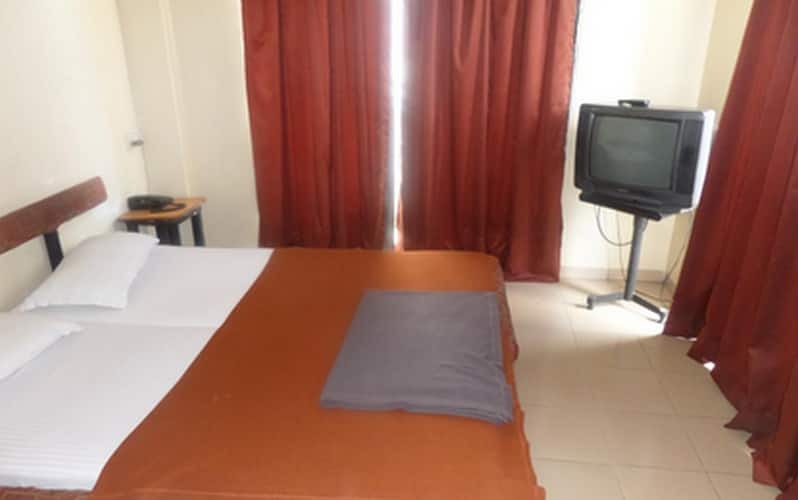 Location: Since it is located on NH 4 (and not in Karad city), half of the rooms are road facing and traffic on the highway may disturb your sleep. Since Karad is a small city where you dont have much options for everything, Hotel Shree Annapurna Prasad fulfills your expectations. I stayed in this hotel for 1 day. It is situated just outside of the city. The rooms are decent and clean with very basic amenities There is a restaurant at the ground floor which has very nice vegetarian food.